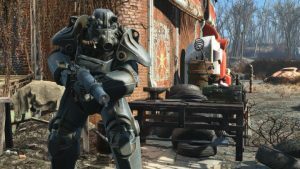 The Fallout 4 1.9 update is now available as a beta on Steam. The update adds support for the High-Resolution Texture Pack, makes a few fixes, and adds a number of new features that will make players using mods have a bit better of an experience. Bethesda confirmed that the 1.9 update doesn’t actually include the High-Resolution Texture Pack, that will be released next week as a separate thing, and this is just preparing the game to support it. This will need some high-level hardware to take advantage of the pack when it does go live. The recommended spec are Core i7 CPU, an 8GB GTX 1080 video card, and 58GB of hard drive space.